These cans deliver a solid array of noise-cancelling features, but they really shine at music reproduction. I’ve longed to find a pair of wireless noise-cancelling headphones worthy of audiophiles, and I’ve found them in AKG’s new N700NC Wireless. These headphones deliver a solid array of noise-cancelling features, but they really shine at reproducing music and engaging the listener. At first glance, the AKG N700NC don’t call much attention to themselves. Think of them as a superhero hiding behind the guise of an ordinary citizen. These headphones sport a clean and functional design with a sharp gray-and-black color scheme, but I can’t say the look is all that impressive. The exterior is plastic with a metal click-adjustable band, but they nevertheless feel solid and well-built. And while they’re comfortable to wear, I can think of several competitors that I’d put ahead of them in that department. Depending on the shape of your head, you might find that the N700NC exerts a bit of pressure at the top of your head—at times I did. A detailed view of the N700NC’s thick ear pads. 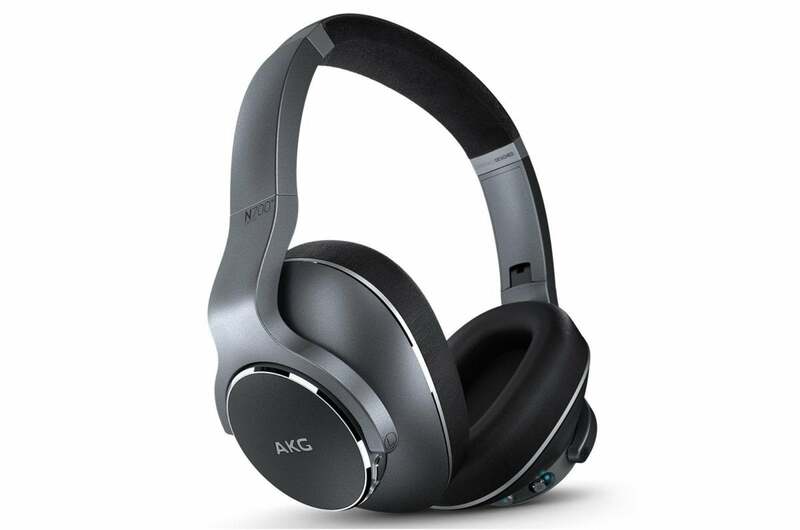 The AKG N700NC boasts a battery life of 20 hours with both Bluetooth and active noise cancellation (ANC) turned on. You’ll get a whopping 36 hours using them as wired headphones with ANC on. The N700NC charges via Micro-USB on the bottom of the right ear cup. Should the battery run out, the N700NC can be used as a traditional wired headphone. I used the AKG N700NC on a transatlantic flight to Rome. Using both wireless and wired mode during the round trip, I didn’t need to recharge the battery once—and it could have gone longer. The N700NC distributes controls along the back of both the right and left ear cups. The right ear cup has a slide-lock button that handles on/off and Bluetooth pairing. Just below that is a button that toggles the headphone’s ambient-aware functionality (more on that later). The left ear cup has two pill-shaped volume-up and volume-down buttons flanking a middle play/pause that will also activate a smartphone’s digital assistant. If the headphone is turned on, then the volume buttons work. The play/pause works only when the headphones are paired via Bluetooth. A detailed view of the right ear cup’s controls. Unlike my experience with AKG’s N60NC, which have an outstanding design, I found the button layout on the N700NC took some getting used to. The buttons on the right ear cup were easy enough; the volume-control buttons on the left, however, felt too close to each other. I had to rub my thumb up and down along the buttons before I felt confident enough that I’d push the right one. Surprisingly, the AKG N700NC doesn’t support any advanced wireless codecs, not aptX, aptX HD, or LDAC—only SBC is supported. These headphones nevertheless had a remarkably similar timbral response in both wired and wireless modes. You’d be amazed how different some headphones can sound in their different modes! I preferred the N700NC’s wired mode, which I felt exhibited more detail, refinement, and control over the music—even with ANC engaged. Detail view of the volume controls on the left ear cup. Multipoint Bluetooth connections that would allow these headphones to connect to more than one phone at once also are not supported, in case that’s an important feature for you. A companion app for your smart device allows you to push firmware updates, apply custom EQ curves, check battery life, and set the headphone’s auto shutoff. Perhaps most importantly, it determines whether AKG’s Ambient Aware or TalkThru mode is engaged when you press the button the right ear cup. The AKG mobile app lets you control some of the headphone’s key features. The AKG N700NC come beautifully boxed with a high-quality hard-shell case and a two-prong airline adapter. The case’s interior is molded to the headphone’s shape. Even though the N700NC’s ear cups rotate and the headphone folds, its footprint is a bit bulky. The AKG N700NC (left) fold into their molded case, but take up a slightly larger footprint than the Bose QC35 (right). 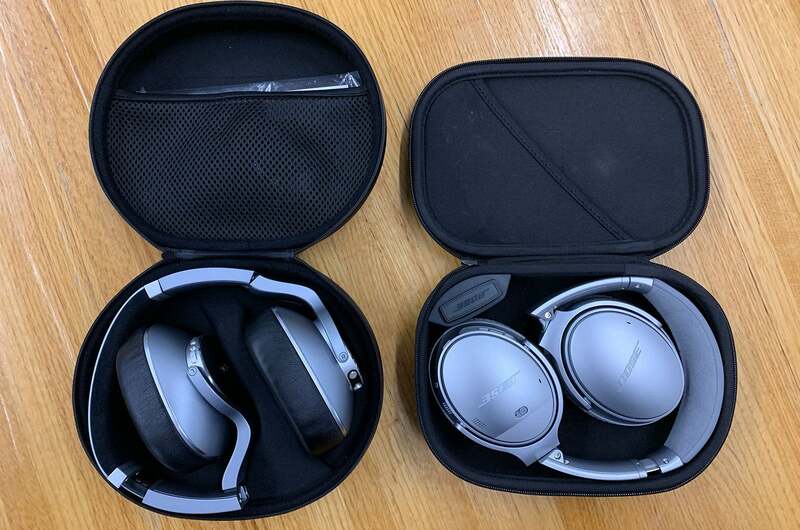 The N700NC’s case takes up slightly more physical space than the Bose QuietComfort 35 (QC35) or Sony WH-1000XM3. If you have a large backpack, you’ll be fine. Some consumers might find packing the headphones sans case to be more practical—I know I did. If you’re looking at these headphones, then you’re certainly interested in their noise-cancelling abilities. Let’s take a deeper look and understand how noise cancelling works. Over time, excessive noise pollution can lead to permanent hearing damage. Listening to music in noisy environments can exacerbate hearing damage, because you feel the need to play music louder than the ambient noise around you. Listening to a smartphone, tablet, or portable player at over 100dB (the same loudness as a snowmobile) can cause permanent hearing loss in as little as 15 minutes. Noise-cancelling headphones use small microphones on the ear cups to detect ambient noise in your environment. The headphones then produce inverse, mirror-image sound waves that cancel those unwanted noises, all without masking desirable frequencies in the music you’re listening to. The end result? You can play entertainment sources at a more reasonable volume, mitigating some risks of permanent hearing damage. 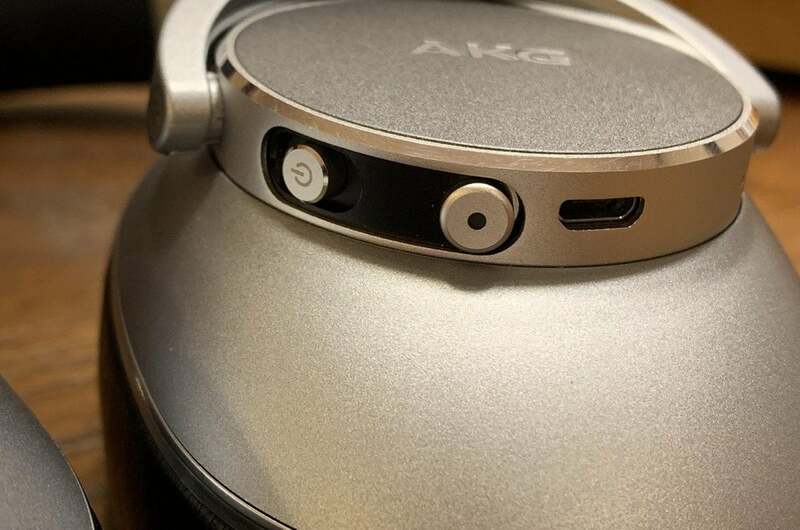 AKG’s N700NC ANC noise-cancelling performance is very good. 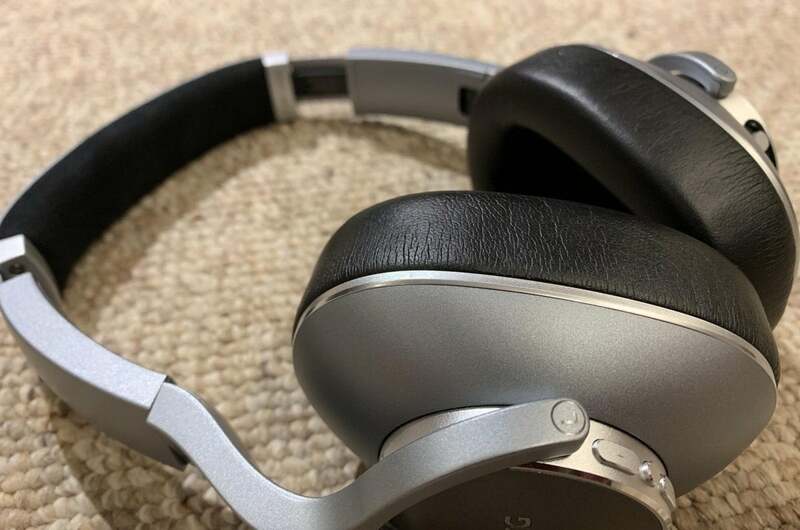 Nevertheless, I’d still rate Sony’s WH-X1000M2; their successor, the WH-X1000M3; and Bose’s Quiet Comfort 35 (QC35) as the best noise-cancelling headphones I’ve reviewed. The N700NC wireless headphones fold flat. 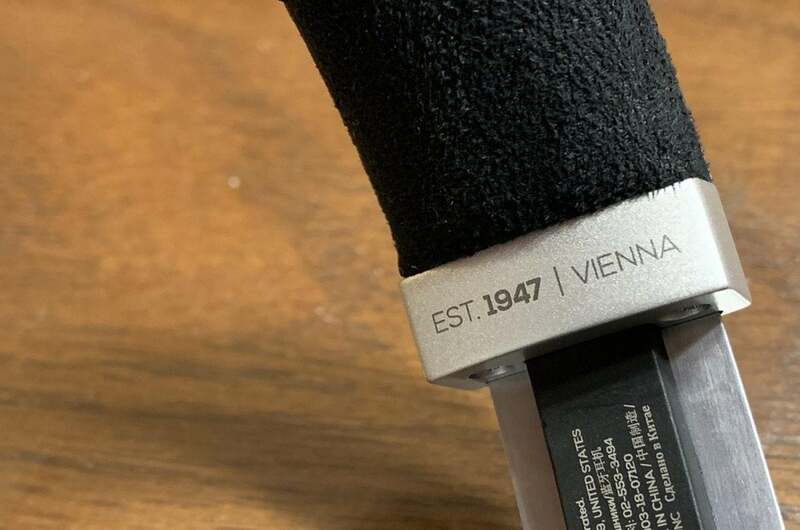 I pit AKG’s N700NC against Bose’s QC35 in a number of environments: a transatlantic flight, on trains, walking bustling city streets, and in sports facilities. In every environment, the Bose QC35 put me in a veritable cone of silence, while the AKG let certain sounds come through. The experience between the two was different for sure. For example, in a tennis and volleyball facility’s atrium, where HVAC noise, loud conversations, and room echo dominated the environment, the AKG did a good job eliminating the HVAC system’s rumbling. But it only moderately softened voices. If I concentrated, I could still make out the details of people’s conversations. The QC35 did a far better job of muting ambient conversations. The same was true on my flight, where I could hear cabin announcements more clearly through the AKG than the Bose—something I liked. At times, I felt as though AKG’s ANC curve was purposely designed to have minimal impact on the vocal spectrum. 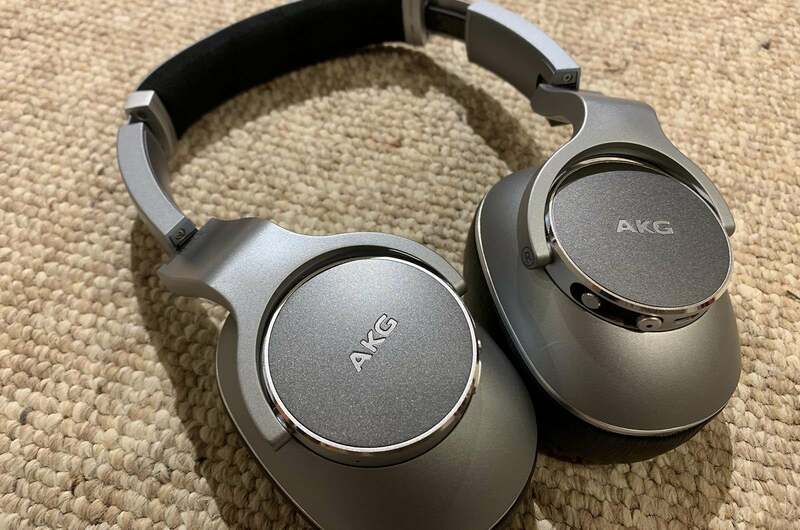 In fact, I found AKG’s performance to be a double-edged sword—advantageous in some situations, and not so much in others. I could hear the cabin crew’s announcements, for example, which was my cue to activate Ambient Aware mode, so I could hear them more clearly. I found AKG’s ANC approach to be more practical. I also noticed that the Bose QC35 exerted more pressure on my ears than the AKG did. If you’re sensitive to the “underwater” effect noise-cancelling headphones can sometimes make you feel, the AKG are a better choice. The difference between the AKG and Bose was like the difference between covering your ears with your hands, and covering your ears with pillows. I also tested the AKG’s Ambient Aware and TalkThru modes. 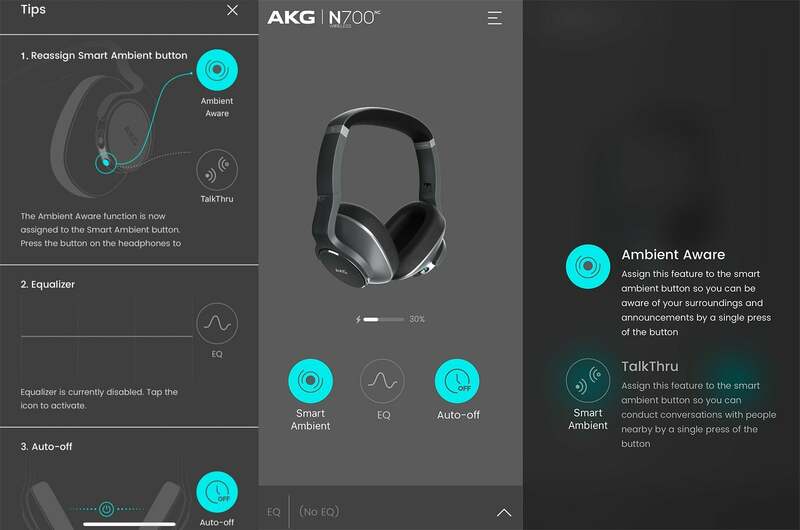 Ambient Aware lets you hear the world around you without taking your headphones off. This feature works by literally reproducing the outside world’s sounds through the headphone’s speakers. It’s perfect for announcements and keeping yourself safe in environments where you need to be keen on what’s happening around you. I really liked the fact that activating Ambient Aware lowered the music a notch, but kept it playing so I could still enjoy my tunes. The metal click-stop adjustable headband. TalkThru (aka Smart Ambient) is more aggressive—it amplifies the outside while also emphasizing certain frequencies. I would suggest using TalkThru in low-noise environments and for short periods only. TalkThru accentuates upper frequencies and became very fatiguing quickly. In high noise environments—like on my flight—TalkThru was almost unbearable. I used a Fiio X7 Mark II and iPhone XS for my listening tests, sampling a mix of high-res and lossy files. I used Tidal for all streaming. 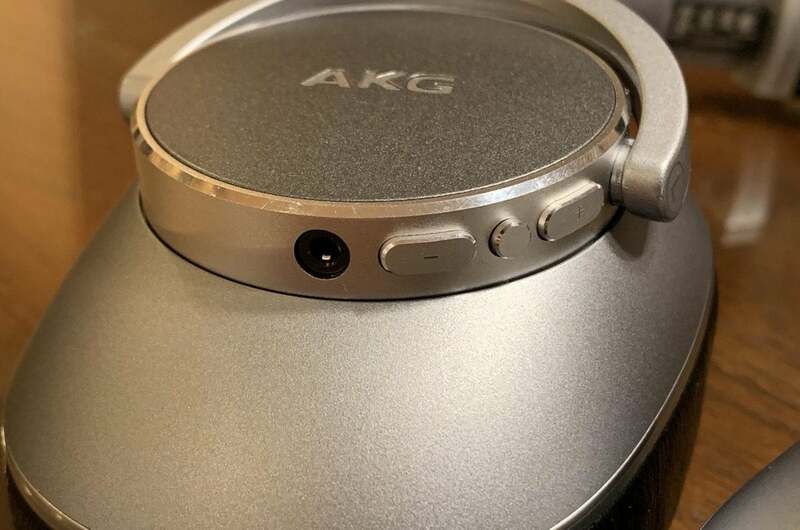 Starting off with Holly Cole’s “I Can See Clearly Now,” it was clear that the AKG N700NC delivered an outstanding top to bottom musical presentation. I’ve used this song’s bass lines countless times to dial in high-end speaker systems and headphones. The N700NC’s bass response was very good, failing only with bass detail that the finest headphones and speakers can resolve. The underside of the headband pays homage to the company’s legacy. There is nothing flat or uninvolving with these headphones. Whether it was Jessie Ware’s “Finest Moments,” from Devotion; the Revivalists’ ”Wish I Knew;” or the fourth movement, molto deliberato, of Aaron Copland’s Symphony No. 3, the AKG’s had me hooked no matter the genre or artist. The AKG’s aren’t perfect, of course. What I longed for most when listening through them was greater, transparency, detail, and control in the music. It’s as though the AKG’s had everything just about right but lacked the finesse and refinement to take the music to the next level. In the world of noise cancellation, it’s difficult to find a pair of headphones that can serve as a best-of-breed reference for both music and noise cancelling. You seemingly need to choose one or the other. AKG’s N700 NC Wireless come close to delivering both. 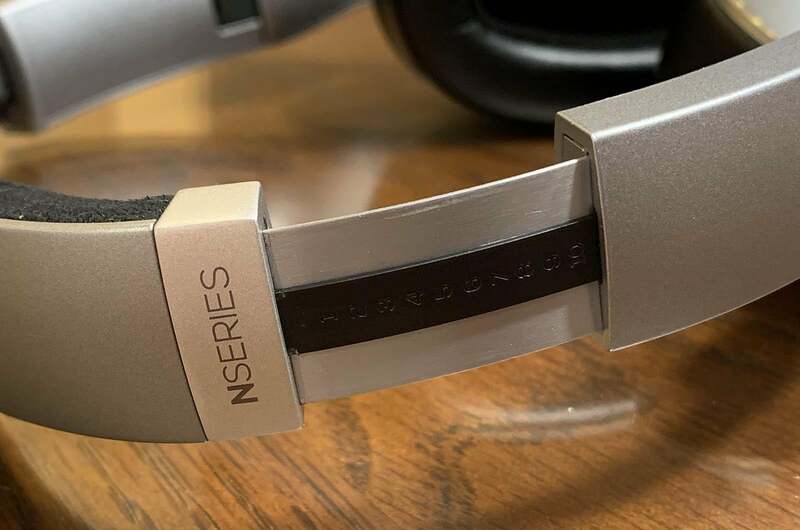 In the final analysis, however, these headphones are best for on-the-go consumers who care about audio fidelity first and noise-cancellation second. If noise cancellation is at the tippy top of your must-have feature list, I’d recommend Sony’s WH-X1000M3 first, Bose’s QC35 second, and the AKG N700NC a close third. This story, "AKG N700NC Wireless headphone review: Finally, noise-cancelling headphones an audiophile can love" was originally published by TechHive.